Manchester United Women returned to league play in bombastic style. Jess Sigsworth scored five goals as the Red Devils hung a dozen goals on Aston Villa in a 12-0 away win at the Trevor Brown Memorial Ground on Sunday. 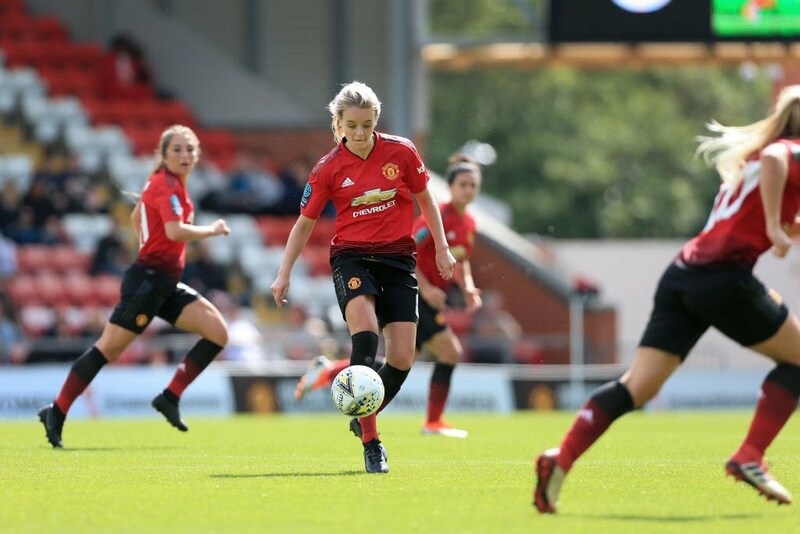 United is playing in the WSL Championship, and hoping for promotion to the Women’s Super League. The visitors led 6-0 at halftime, with the goals coming between the 10th and 35th minute. They got their next six in 19 second half minutes. The club is managed by Casey Stoney, the 130-times capped England defender who also works with the national team.